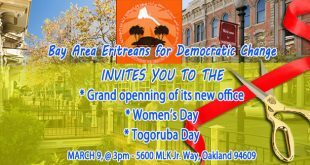 At long last, the coming together of Eritreans to discuss ways and means of bringing about democratic change in Eritrea, a dream that had been conceptualized for over a decade, is finally here. Dubbed the National Conference for Democratic Change (NCDC), the convention started on July 30 and will resume for several days in the Ethiopian capital of Addis Abeba. 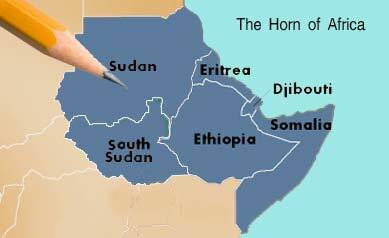 What is the right formula for an enduring Eritrean national unity? 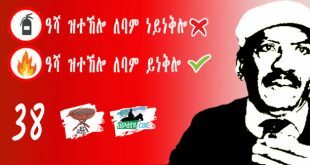 What means should be pursued to bring about democratic change in Eritrea? 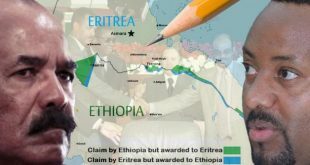 What mechanisms must be put in place and what agreements must be reached for the transitional period following the collapse of the Eritrean regime? Participating in these discussions will be about 350 Eritreans—community elders, activists, politicians, students, professionals, and refugees dispersed throughout the world. The organizers have prepared white papers, in Tigrigna and Arabic, and the conference is expected to include breakout sessions where participates will tackle all the thorny issues on the agenda. 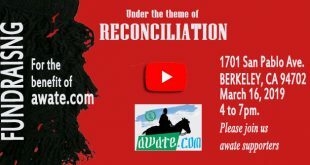 Since the preparatory committee of NCDC began its work in February of this year, awate.com has been uncharacteristically silent on the topic of the conference and has not offered an opinion/editorial. This is because we did not want to give an opportunity to the spoilers to initiate another round of useless “gual neger” discussions that would complicate the already difficult task of the organizers. We will leave without further comment the role of one so-called “opposition website” which, when it is not amplifying the propaganda of the PFDJ, has chosen to ignite little brushfires and pour kerosene on them, so long as it burns any bridges between opposition organizations. There is also little use in dwelling over the political calculations of the rejectionists who would have been serenading the conference with endless songs of praise if their chieftains had agreed to participate. 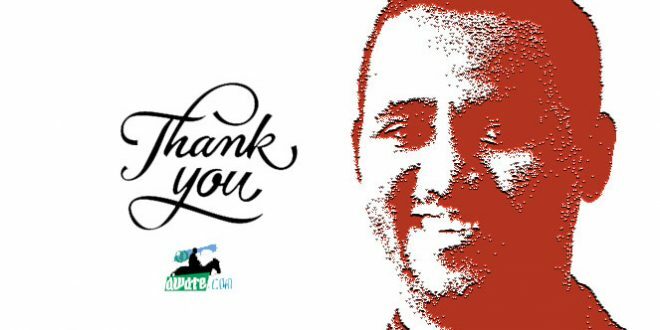 We want to thank the organizers for the restraint they showed throughout, for refusing to be goaded into useless discussions with people who can’t be reasoned with. Our focus here is on those who have heeded the call of the Eritrean people to accelerate the pace of the struggle to bring about change. We hope the participants of the National Conference will rise up to the expectations set on them, and that they will approach this convention with the seriousness and sense of purpose that is reserved for historic events. 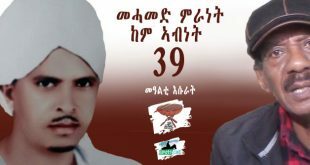 Since this conference is being attended by individuals who may be broadly categorized into three groups—the political organizations within EDA, the political organizations and civil society outside of the EDA, and the ordinary citizens who reside in the Diaspora—we will attempt to relay here what we think the Eritrean people expect of them. The goal of any political organization, civil society or an individual who has taken the step to join the resistance is to bring about change in Eritrea. Not just any change, but a change for the better: one that rids Eritrea of the tyrannical one-man rule and replaces it by a system where the people can breathe the air of liberty that they have long been denied, and one that they paid dearly to get. 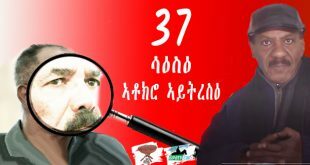 In the last 10 years, all the jockeying for position, stalling tactics, and the obsession over minor technicalities have harmed the opposition movement to the point that the people in Eritrea who yearn for change began to give up hope and to accept with resignation the brutal rule of Isaias Afwerki. And why wouldn’t they? When their house was set ablaze by the sadistic regime of Isaias Afwerki, the Eritrean people called the firefighters and told them to run. And all they got was people leisurely walking, taking the scenic route, fighting amongst themselves, and threatening to bring more fuel with them. The objective should always remain: with utmost urgency, bring relief to the long-suffering people of Eritrea. 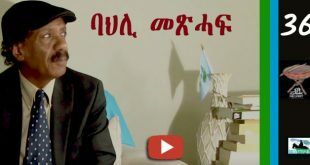 To do that, we must amplify the suffering of the Eritrean people (to let them know that we know—as the opposition radio has been doing so capably recently), avoid saying or doing things that demoralize the people, and then take tangible steps to accelerate the change that the Eritrean people crave. The wisdom of the Eritrean people is expressed in proverbs and one of them deals with the importance of prioritizing. It tells the story of a couple who bicker over where they will tether their goat—a hypothetical goat they do not own yet. Over the last 10 years, much of the bickering of the opposition has sounded, to the long suffering Eritreans, like a feud over nothing and they have taken this as an early warning sign of what they can expect if and when the disputing parties assume power. It is prudent for political organizations to strategize and plan for the post-Isaias era, but it can’t be at the expense of the strategy and effort required to remove Isaias Afwerki from power. Focusing exclusively on the former tells the Eritrean people that you do not hear their daily screams, and that you are more concerned with who and for how long your favorite politicians and ideology will govern Eritrea. In politics, if you are not growing, you are shrinking. Small organizations may think of themselves as catalysts for change; however, the reality is, unless they have a real plan for growth, they are merely there to act as pressure groups (not on the Isaias Afwerki administration, but on the EDA) and, thus, to slow down the pace of change. Even worse, and directly tied to the objective stated above, the multiplicity of the small organizations demoralizes the Eritrean people who know that the only way to effectively challenge the Isaias Afwerki regime is by building a dynamic organization with broad-based support. The EDA has 11 member organizations, an improvement over the days when it had 14 or 17. But it still includes organizations who, for all intents and purposes, share the same programs and the same outlook, but have chosen to maintain a separate existence whose rasion d’etre is unclear to anybody but the few dedicated members of the groups. If we remember the objective—urgently bring relief to Eritreans—we will recognize that how big our own organization happens to be is less important than how does it contribute to the effectiveness of the resistance movement. 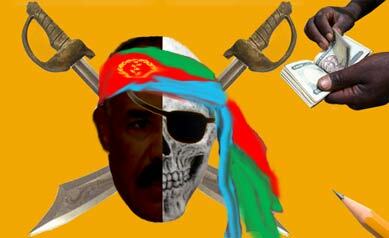 Are the political organizations accountable to their members only, or to Eritreans at large? On the one hand, their leadership is elected by the members of the group and is, like all organizations, accountable to (or should be) to those who elected them. On the other hand, they define their existence by their need to bring change to Eritrea, which requires a mandate from, and accountability to, all Eritreans regardless of whether they are members of the organizations or not. The way the political organizations have managed to reconcile the differences is by holding meetings which are open to the public and then, in theory, to provide the general public with an opportunity to provide input which will then, in theory, be agenda items for formal and informal discussions in the intra-party and inter-party meetings. In reality, however, the public meetings are no more than “seminars”: where delegates from the political organizations explain their positions on any given issue. Opportunities for “town hall meetings” where the political leaders actually listen to the public are rare, if they exist at all. The NCDC will be a rare opportunity for the political leadership of the organizations to interact with, and listen to, Eritreans who hold opinions different from the ones they hear from their party constituency. We hope that the Eritreans who are not aligned with any political organization will insist on a mechanism where the political organizations are more responsive and accountable to Eritreans who are not members of their party. The trade off should be: we the people have bestowed on you a moral if not a legal mandate; in exchange you the politicians have to be more responsive and accountable to us. For the opposition to leapfrog and become an effective organization, it must work with the recognition that it has the moral (not necessarily legal) mandate to bring about change. This moral mandate is derived from the Eritrean revolution because the Isaias regime has subverted the goals of the Eritrean revolution: to bring about a country which would be governed by the rule of law and one which guaranteed its citizens their hard-won rights. 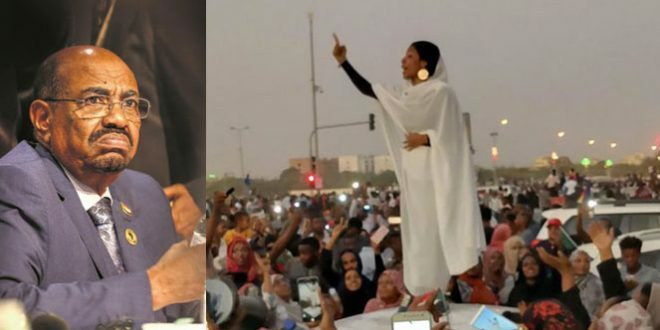 The self-declared Eritrean president has publicly made it known that he has no intention of surrendering power to its rightful owners, the Eritrean people, for the next 40 years. And those who have risen up against him in opposition have been given the moral mandate to act, and they should. We have already commented on the importance of having a streamlined opposition, and we hope the attendants of the conference will place that high on their priority list. But even after the political organizations successfully consolidate (via unity, united front, etc), there will still be, and there should be, in our opinion, several organizations—working together, but still distinct—that will be left standing. This is because there are some real, and genuinely held, differences on the best formula for bringing about change and governing Eritrea following the demise of the Isaias regime. The differences are neither “personal” nor “grudge-driven,” but the absence of an effective conflict resolution mechanism does allow issue-driven differences to deteriorate to personal conflicts. But there are real differences. The major one is on the issue dealing with guaranteeing the rights of citizens—a formula for enduring peace and harmonious co-existence in Eritrea. Some organizations hold the view that the only way to ascertain an individual right is by insisting on guaranteed group rights—whether the group is organized geographically, ethnically or religiously. Those who espouse this view include the Federalists, the Islamists and the nationalities-based organizations. They argue that unless these minimum guarantees of group rights are instituted, the allure of the purse, the gun, and the power of the State are so strong that whoever ends up holding power will always surround themselves with people who share their values—a formula for permanently dominant and dominated citizens. On the other hand, some organizations hold the view that a formula that combines strong individual rights, with State power diffused among the capital and the localities is the best guarantor for liberty. Those who espouse this view refer to themselves as “secular nationalists”. They argue that institutionalizing group rights along geography, ethnicity or “politicized” religion polarizes the Eritrean society permanently and actually renders individual rights, which are the irreducible minimum of citizenship, a subservient role to group rights. The attendance of the Eritrean People’s Democratic Party (EPDP) would have enriched this debate. This is one of three reasons why we consider its absence unfortunate. It is disappointing because national conferences are the perfect forums to discuss the “individual rights” vs “group/individual rights” framework, as well as other weighty issues. Secondly, it is disappointing because the ELF-RC/EPP (which is one of three organizations that merged to become EPDP) had been a consistent and strong voice for national reconciliation and national conference, long before many of the organizations attending the conference were conceived. Thirdly, it is disappointing because it highlights one glaring weakness of the EDA: that it still, after a dozen years, has not found an effective means to resolve conflicts. Of course, not all conflicts are resolvable—some differences are simply irreconcilable. To be fair to the preparatory committee of the congress, and eventually, the EDA itself, it cannot be said that it did not negotiate in good faith to accommodate the wishes of the EPDP. The EDP, EPM and EPP, which united in January 2010 to become EPDP, did not exactly have a spotless record when it came to resolving their own intra-party conflicts. And while it is inevitable that the member organizations of the EDA would have disagreements, the only three times that disputes have degenerated into a full-scale Internet wars is when the dispute was between EDA and EPDP or its proto parties. But that is history, and the only reason to restate it is so future-oriented activities like the National Conference can draw the right lessons from it. (a) define the EDA as a liberation movement and not a legislative body that has the luxury of time to deliberate on everything at great length. It is good practice to develop the habit of being constrained by the rule of law, but you can’t work on tinkering with the law that guides you; you must also act and be results-oriented. (a) require of all the politically non-aligned individuals and civic association who are attending the conference to commit to their historic obligation as watchdogs over the political organizations. A mandate comes with a responsibility to be accountable and be responsive to the people and the people should settle for nothing less than full accountability from the political organizations. (d) Institute a more effective conflict resolution body that involves the Eritrean people—Eritrean elders—and not just the parties to the dispute. Eritrea is rich in the tradition of conflict resolution and it is only the vanguard attitude of the political parties that is a hindrance to inviting impartial Eritreans who would have been able to resolve all the festering wounds much earlier. This is critical because every effective conflict resolution process requires an impartial listener and a willingness from disputants to accept responsibility for their mistakes/actions. Since, in politics, accepting responsibility for making mistakes is considered a weakness, we will never have an effective means to resolve issues for as long as that task is left to politicians. We are not saying any of this is easy; it is a huge task, but one befitting a conference as historic as the one being held now. We wish the attendants all the best. 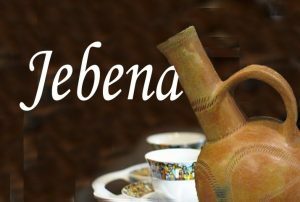 We believe that the Eritrean people are looking for a sign of hope and will forgive and give second chances to those who stumble—so long as they have faith that those who are stumbling are actually walking on the right path. We are also hopeful that the conference participants approach all issues with an open heart, with a spirit of goodwill and reconciliation, and with a sense that the State of Eritrea is in a state of emergency, and that urgent, but carefully thought-out, steps are required.